Well that was frustrating. 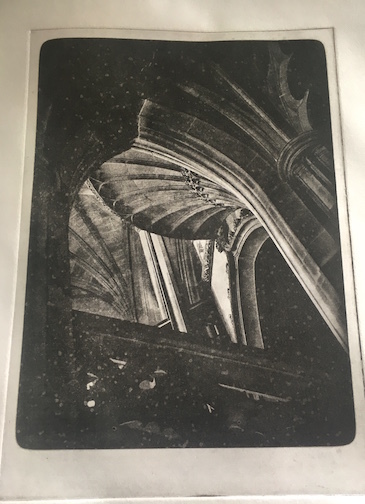 It seems its been 12 months since I last looked at photopolymer printing, its the main reason I bought the etching press. I had put it to one side after setting it up as I was having issues with blotching on the plates. 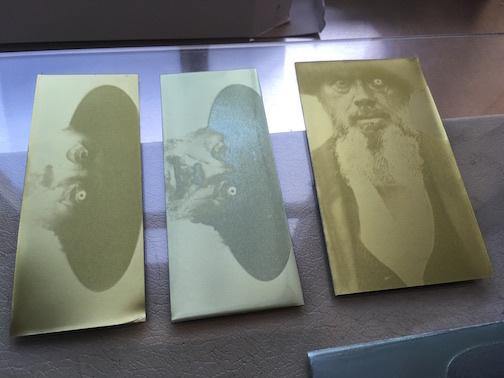 Initial tests for exposures for the stochastic screen and the image inkjet positive acetate were promising. Exposures were around what was expected for the old UV unit I am using. 2 minutes for the screen and 4 minutes for the main image. No adjustment curve applied. You can see on this plate the blotchy patches. For whatever reasons I haven’t returned to it till today. Now heres a lesson learnt. 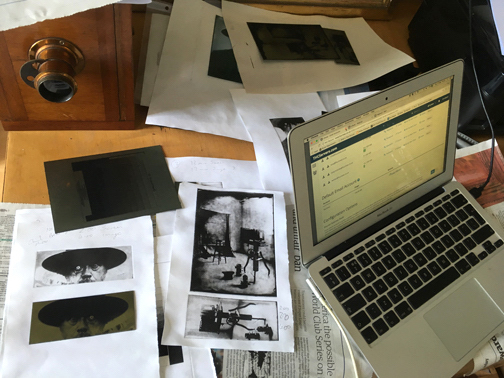 Never leave 12 months to return to a printing project. 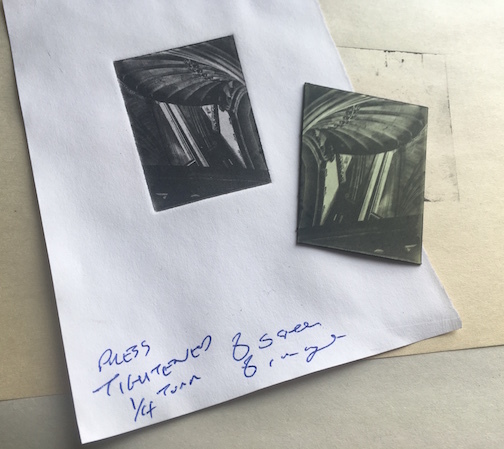 I had read and discussed with some other printers that the blotching is to do with poor contact between the acetate and the plate in the vaccuum frame. This can be solved by using a coating of baby talc on both sides and then brushing off the excess. It took me a few test plates to get back into it but exposures were still the same even with a new batch of plates. 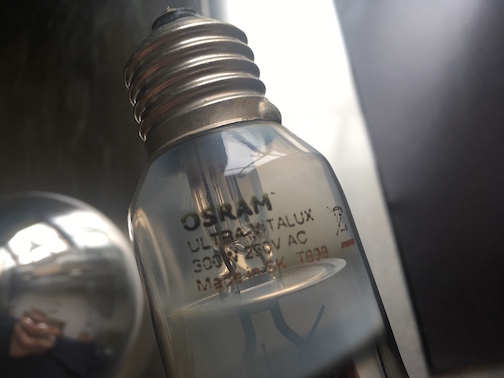 All was going well until one of the old bulbs popped in the UV unit. A quick look online and they are £40 each! If anyone knows a cheaper equivalent please let me know. Or maybe I should look at making that UV LED box I was thinking about, I do have the lighting strip somewhere. In the meantime I had to re do my tests with just the one bulb instead of two. Also while I think about it, maybe I should use a larger size plate for tests, as inking and wiping these small 5cm plates is a little fiddly. 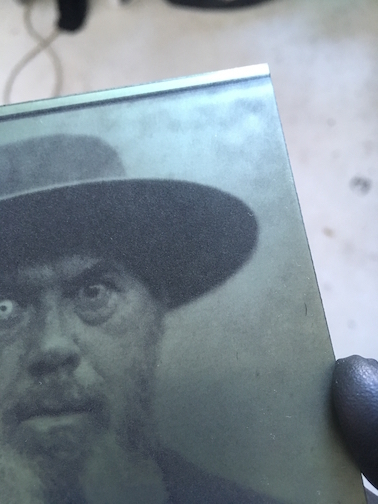 After a few small tests I thought I’d jump in with a 5×7 plate. Oops. The main blotching seems to have disappeared only to be replaced by spotting. No matter what I did or how much talc was applied it persisted. You can see the spots on the plate before it goes into the water bath. I’m also not sure if the lack of a deep black is from over wiping the plate or under exposure of the main image, as it is quite gritty to look at, but my main concern is the spotting. It was so frustrating when you think you know why something is happening but no matter what you do nothing seems to solve it. 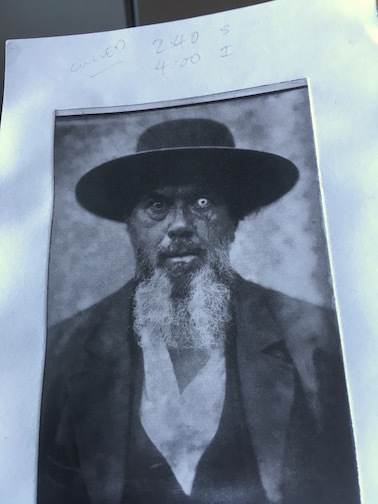 You’d think I’d be used to that with collodion, I thought this would at least be a little more straight forward. I’ll try not to leave it 12 months before I take another look at it, especially for my Estonian friends. I hope to have this sorted within the next few weeks. 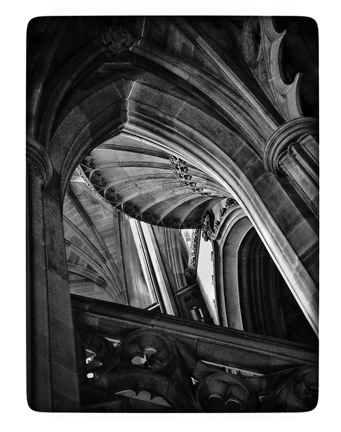 23 Jun This entry was written by Fourtoes, posted on June 23, 2018 at 7:14 PM, filed under Misc.. 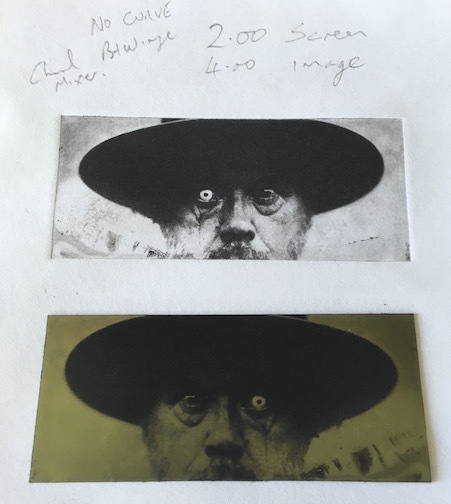 Older: Victorian wet plate negatives and some news.